There are many gateways from the Spanish capital that you can handle in a day in a relaxed way, just one-hour drive or half an hour train journey would take you to awesome retreats. The most common are: El Escorial, Segovia and Toledo. 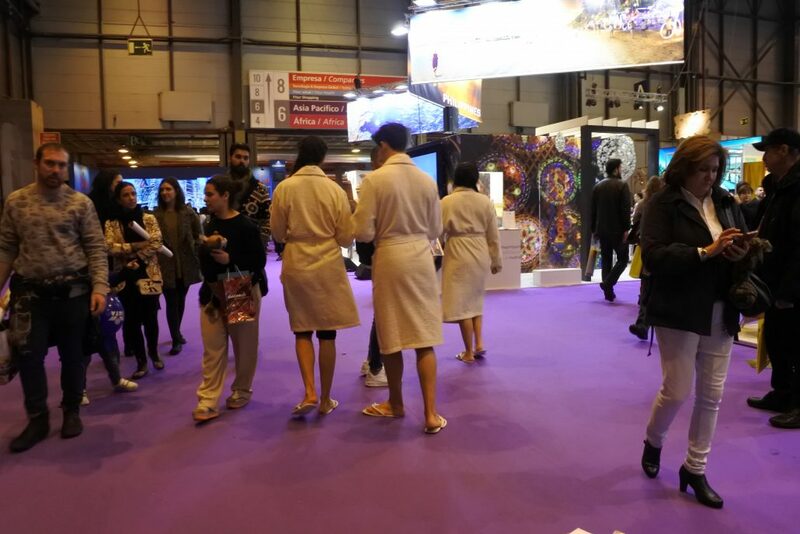 Every touristic stall in Madrid offers all these one-day trips for usually more than 50 euro with the bus tickets and some museum entries. The truth is that you can organize a very pleasant route for half, or even less than half of that price. Between these three options, the first unmissable is Toledo. Less that one hour by bus, around 10 euro for the round trip, and amazing escalators will load all the tourists right at the top of the hill where all the main attractions are. The first thing that everyone needs to know about Toledo is that it is called “the city of three cultures” which is its most emblematic feature, intertwining three different worlds. As most of our favorite sights, Toledo is a part of the UNESCO Heritage for its unique history and untouched patrimony. 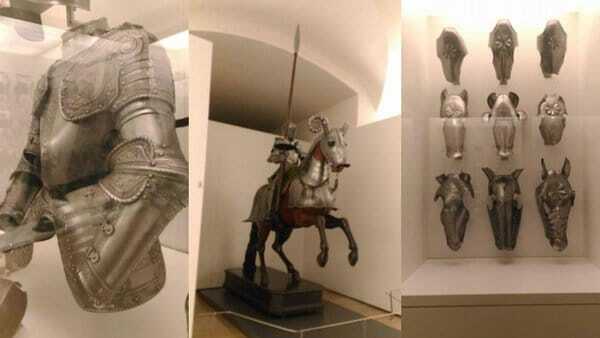 The first thing to visit is the Museum Santa Cruz, very close to Plaza de Zocodover. It’s a cultural space born from the merge of the Hospital de Santa Cruz and the Convento de Santa Fe, offering different temporary exhibitions all year. 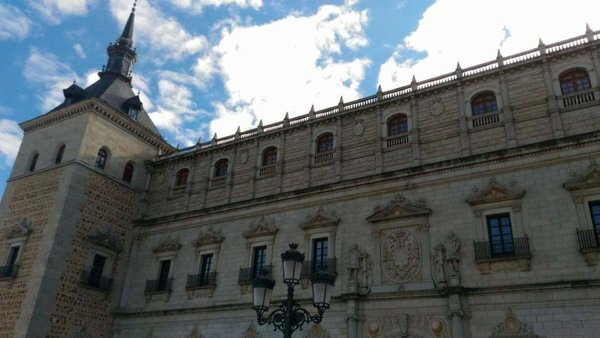 Then it’s time to move to Alcázar, the place where you can spend hours admiring all the historic pictures and military armaments. Four floors, I don’t know how many rooms and topics and things to see, but you should spend at least two hours in here. It is not just about the inside, the special location of this building gives the mind-blowing view from the top of the hill. This position gave Alcázar an opportunity to become an important and strategic venue during Spanish Civil war. Time to rest and eat something typical in one of the numerous tapas bars in the tiny streets that connect Alcázar with the second most important venue of the city: the Cathedral. Before arriving at the Cathedral, it is interesting to step into these tiny streets where a lot of Arabic buildings can be found, easily recognizable by their architecture and decorations. 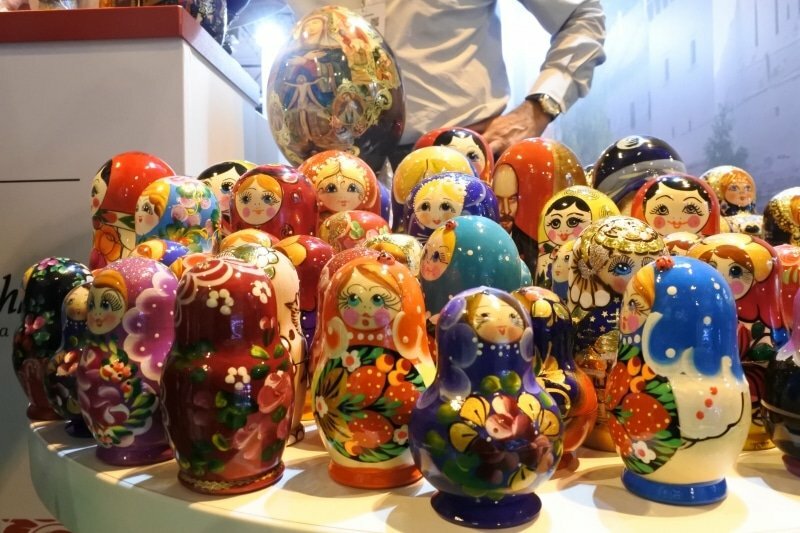 As all the city museums have military collections on display, the local souvenir shops also specialise in this merchandise, most popular tourist take-aways are souvenirs dedicated to the war history. Knives and guns are everywhere, it is really impressive. By the way, the choice of marzipan is enormous, at it is considered the most typical food of the area. 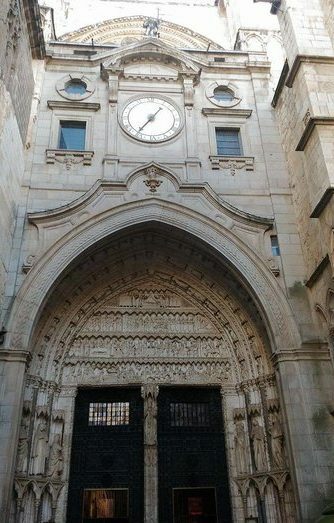 The Cathedral of Santa María de Toledo is huge and gothic, and the entrance ticket is 10 euros, but there is a dedicated free entrance (in the picture) if you want to pray, exactly on the opposite side from the main entrance. Of course, there is a sort of a fence of this area, but you can at least see and have an idea of the style and the dimensions of the church from the inside. It was built in 1226 during Catholic monarchy and is considered one of the greatest examples of Gothic architecture in Spain. On the 15th of August, there is a strange tradition during the Virgen del Sagrario celebrations. The Cathedral is full of water from the Pozo (well) del Claustro because it is considered miraculous, and you can later buy this water all year long, at the entrance. On Sundays at 9 am when the holy mass starts, it is also great to hear the incredible pipe organ. The Jewish area is very close to the Cathedral, that’s why visiting at least one of the synagogues right after the Catholic marathon is a very good idea. Toledo is famous for its tolerance and who different cultures that have coexisted together for such a long time, even though the Jewish community was expelled from Spain in 1492 with the edict of expulsion. If you are not a staunch devotee of any religion, visiting churches is still a good idea, you can focus totally on art instead of religion. Inside Santo Tomé church, in fact, there is one of the most famous Spanish works of art by El Greco. Do you recognize it? It’s the representation of “el entierro del conde de orgaz” which means “The Burial of the Count of Orgaz” right at the entrance of the church. It’s oil on canvas dated 1588. It illustrates a popular local legend. Being an exceptionally large painting, it is clearly divided into two zones: the heavenly above and the terrestrial below, brought together in a single composition. The entrance is not free, but for meager 2 euros you can see this masterpiece and the church of course. It is strictly prohibited to take pictures inside Santo Tomé, a bodyguard is constantly observing the visitors ready to block every attempt to shoot. 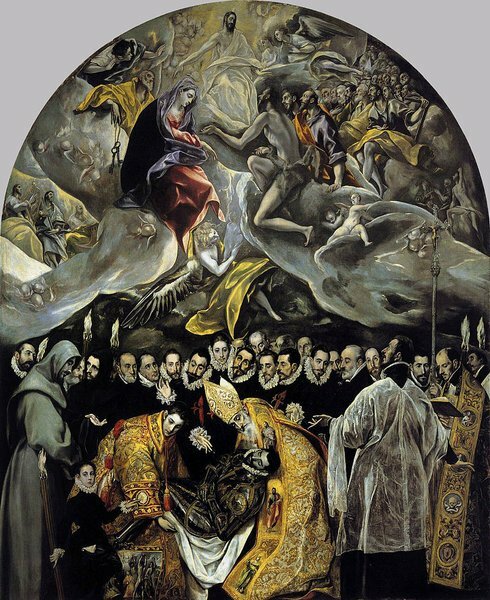 Not enough of El Greco? 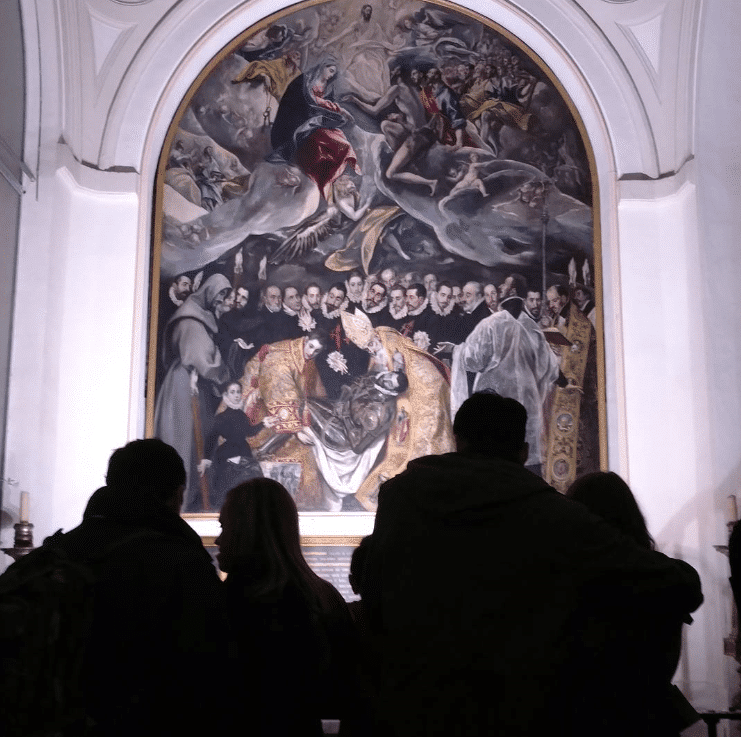 Well, Toledo is the right place for El Greco lovers. 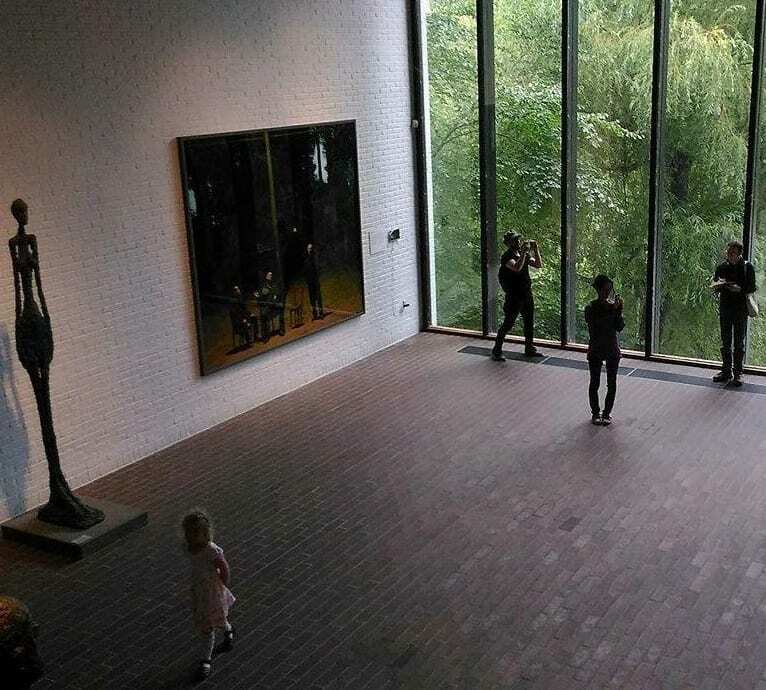 You can finish the day visiting the museum dedicated to him. 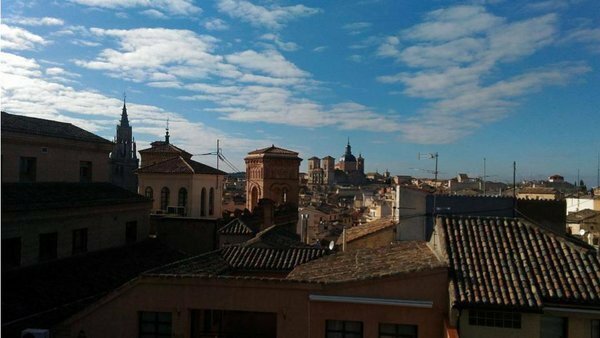 Make sure to visit this city when in Spain because “You haven’t seen Spain until you saw Toledo”. Curious about the other two one day trip mentioned at the beginning of the blog? A new article about them is coming soon. A world tour in a day. 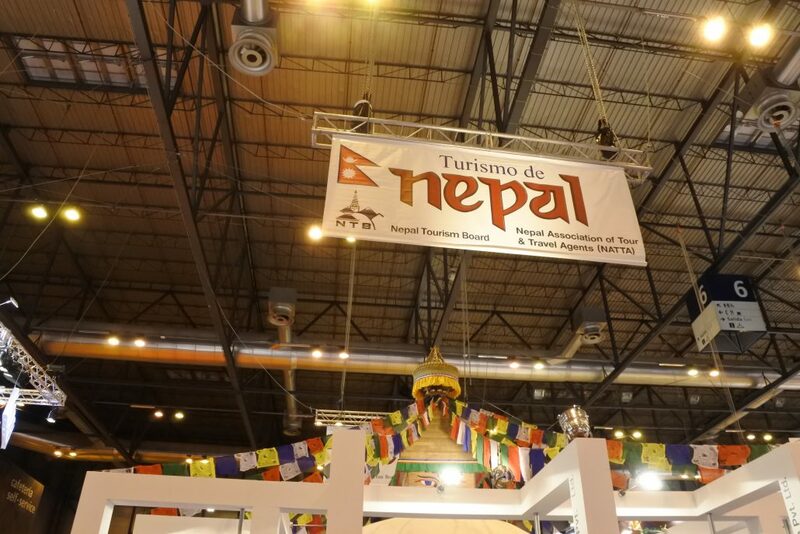 I appreciated a lot all the different folk activities, with popular traditions at their best. What I disliked about this fair was the incredible mess when there was free coffee or free food taste. Incredible. And the queue at Burger King during lunch time was unbelievable. I went on a public day, on Saturday and many stands were even empty. No people, no information. 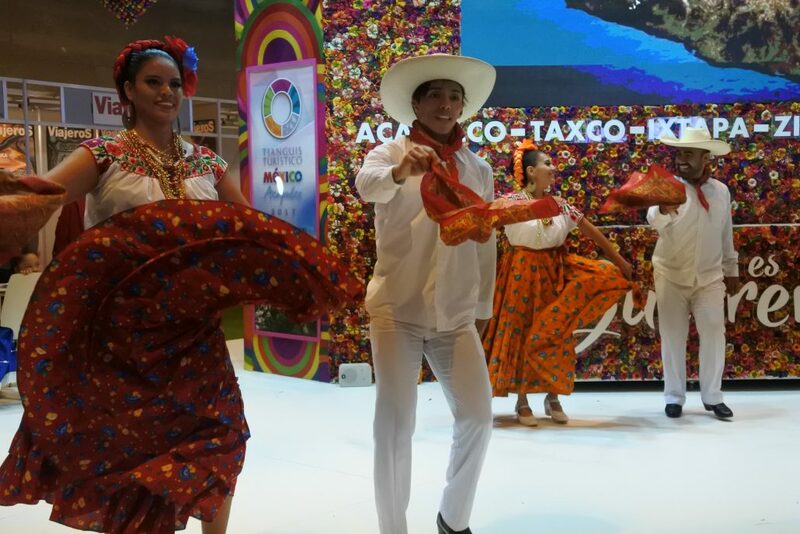 The South America Pavilion is always the most interesting and active in all the tourism fair I’ve been. 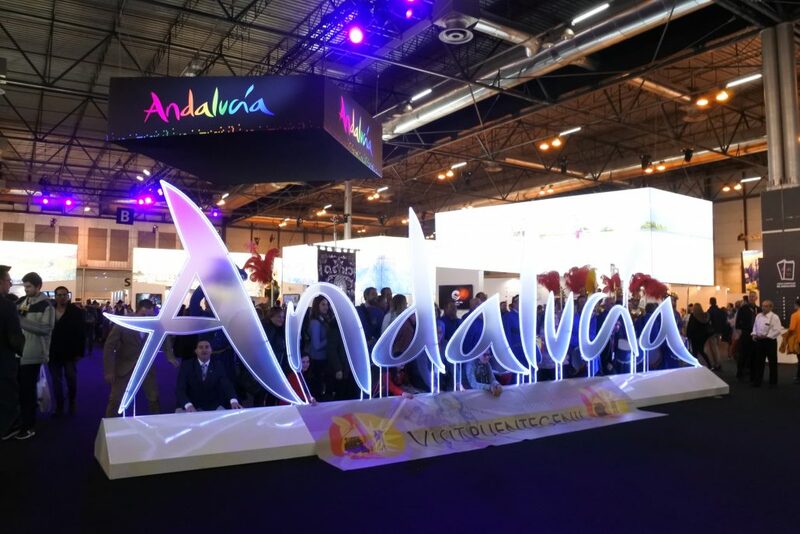 Andalucia was incredible, with a concert, a beautiful architecture, lots of informations and people working, folk groups everywhere. Check out some pictures I toook. Copenhagen, the capital of Denmark, like most of the Nordic cities, is one of the happiest places in the world. In this city you can see people leaving a stroller with their child inside or outside a cafe while they are sipping hot tea. Even though there is more cycling culture and pedestrian travel than ever before, there is almost no corruption. 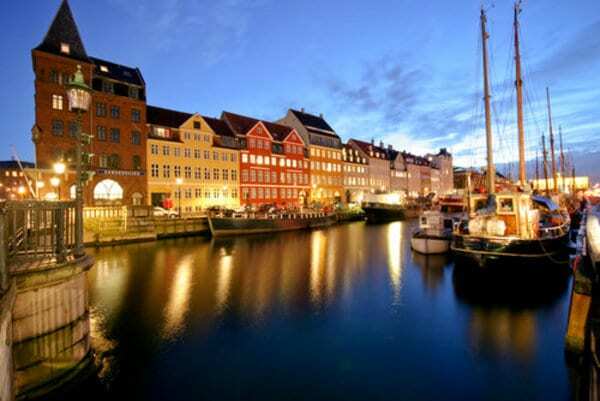 Ideal for a weekend in Denmark, Copenhagen can be the end or the beginning point of a Danish coast to coast excursion. You can visit the city and just walk around, mesmerized by the attractions and the history, or do what locals do and ride a bike, making sure you don’t actually end up in a traffic jam. The port area has great dining facilities; you can find street food stalls or before it was closed a five-star restaurants like the Noma. These very famous gardens and amusement park were built in 1843. The Park has more than 20 attractions, like roller coasters, outdoor theatres, restaurants, gardens, and also a hall for concerts. 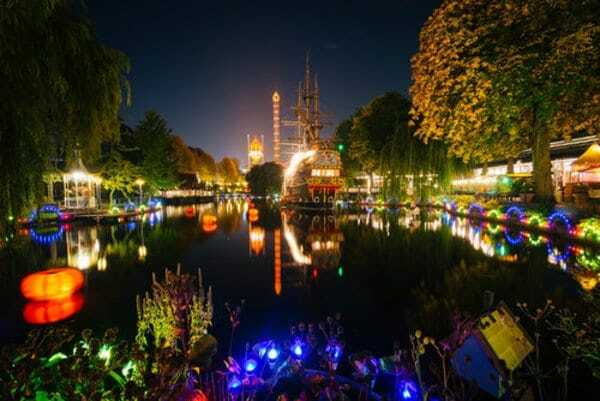 If you have the opportunity to go at night it will be a remarkable experience to see the fantastic night lights and attend a concert in the middle of the park. Many movies have been made using the gardens as a backdrop and it has been visited by Hans Christian Andersen and Walt Disney, as well. If you are thinking about a trip to Copenhagen during the winter, that’s a very good idea, especially during Christmas time. Copenhagen becomes even more special and magical at that time of year. Like most of the European capitals, the parliament building in the city is always an attraction for tourists. As an example, think about Westminster in London or the futuristic Norman Foster glass dome at the top of the Reichstag in Berlin. Christiansburg Palace was the residence of the royal family until the 1794 fire, after which it became the parliament building. Nyhavn is the ancient port of the city and is probably the most famous place in Copenhagen. It is in the center of the city and was a crucial part of the economy in the past and is a strategic colorful attraction for tourists today, even though, in the past, it was also considered as a dangerous area. It’s a must-see attraction. Perfect for a Sunday lunch or a relaxing dinner, the street food market closes at 10 pm and it’s a great, inexpensive alternative for a typical meal or you can try some of the other cultural food stalls; there is something for everyone. The iconic statue, The Little Mermaid, is a mandatory stop for everyone visiting Copenhagen. Probably one of the most common selfies in the world and for a lot of people also a huge disappointment, mostly because of the size of the statue and the over-crowded situation. 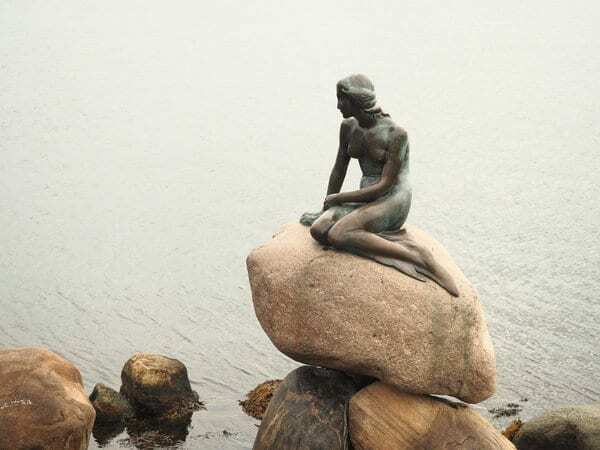 The Little Mermaid became a famous attraction in Copenhagen because it was mentioned in one of Hans Christian Andersen fairy tales. The statue is located at the Langelinje port in the city. In practically all capital cities, there is, of course, a national museum. The Prince’s Mansion is the location of the National Museum of Denmark, an attraction you should not miss it if you want to discover more about the Danish culture and history. This is a fantastic place to better understand the history of this nation. 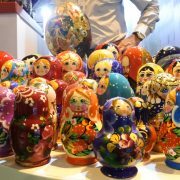 Some of the things you will see here includes a great collection of ancient remnants from Danish churches and some beautiful ceramics and old coins. There is also a section dedicated to Eskimo stories, as well as opportunities to learn about the populations from Asia, Africa, India, and Australia. As the Prince’s Mansion was about the history of Denmark, the Statens Museum for Kunst is a collection of Danish works of art from the 1700s to contemporary art and is called the National Gallery of Denmark. 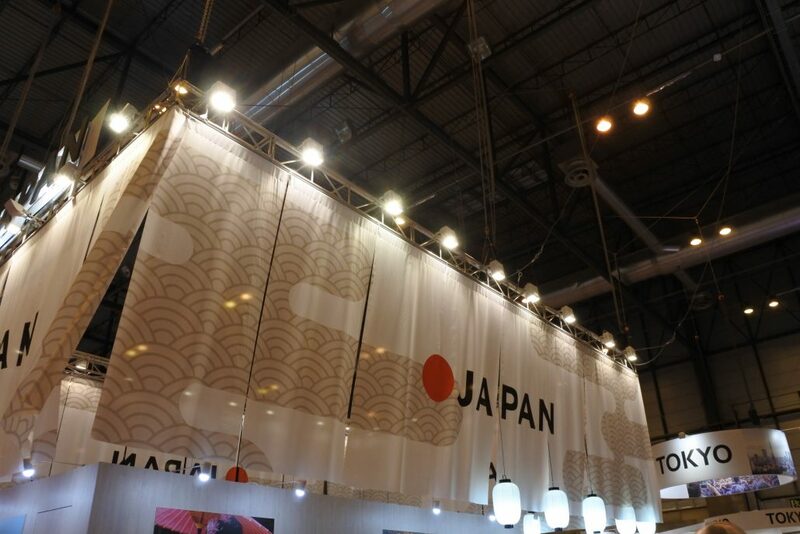 It also contains other national exhibitions from all over the world. 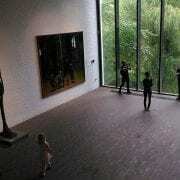 The museum is huge, so be sure you familiarize yourself with the gallery before starting your visit. The Rundetårn is the most famous tower in Copenhagen. It is 236 meters high and built in 1642 as an astronomical observatory. Inside it is empty but is not disappointing, as the spiral staircase and the view from the top over the city are worth every step you take during your visit. The Amalienborg Palace is the actual residence of the Danish Royal Family and has been since 1794. There are four different buildings, Queen Margherita II and her family live in the Palace of Christian IX, and the Palace of Christian VII is used for the official visits. Strøget is the shopping area of Copenhagen; you can’t miss it if you prefer a pair of new shoes instead of a souvenir. You can also find many shops, boutiques, cafes, and restaurants as well. Among all the northern capitals, Copenhagen is the fashion capital, so you are in the right place if you want to discover young emerging talent. 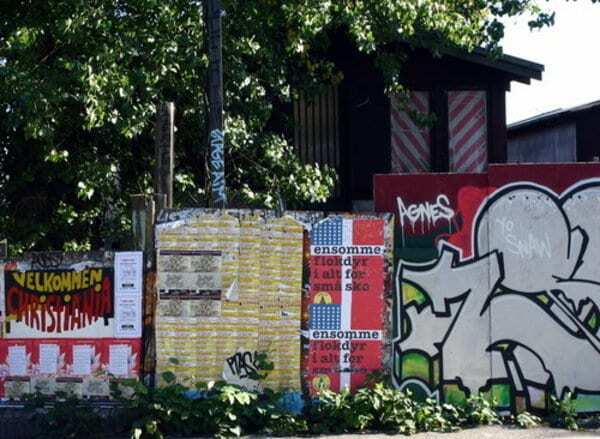 It all began as a Hippie settlement in the seventies and now Christiania is a self-proclaimed autonomous neighborhood of about 850 residents with no cars, only bikes and wild horses on the streets. They have their own currency and their economy is based on the business conducted in Pusher Street. It’s the most peculiar thing you will see in Copenhagen; it is one of a kind sightseeing; it’s original and different from all the things you have seen before your visit to Christiania; you’ll feel like you’re in another world. Last but certainly not least, if you are a beer lover, Copenhagen gives you the opportunity to visit the birthplace of Carlsberg.